Your Number One Choice For A Cleaner Home! We only use high powered industrial machines and products to ensure the best possible clean.Our products are environmentally friendly and rids your carpets/upholstery of dust mites,carpet mites and 99.9% of bacteria,reducing the risk for allergy sufferers. We don't use shampoos as this leaves a dirt attracting residue causing your carpets/upholstery to get dirty a lot quicker.We actually use a combination of pre-sprays and chemicals to ensure no residue is left behind and things stay cleaner for longer. All stainguard applications are non-profitable to us.This is because we believe that beneficial products shouldn't be out of reach for anyone to afford. We don't do gimmicks or neverending offers,we just give excellent prices all the time. Our friendly,reliable service is becoming well known to many as over 93% of our work is from customer recommendations. We are also proud members of the Barnsley and Rotherham Chamber Of Commerce. Don't forget.Whether it's a single room in your home or a block of offices,we deliver the same quality and value for money. 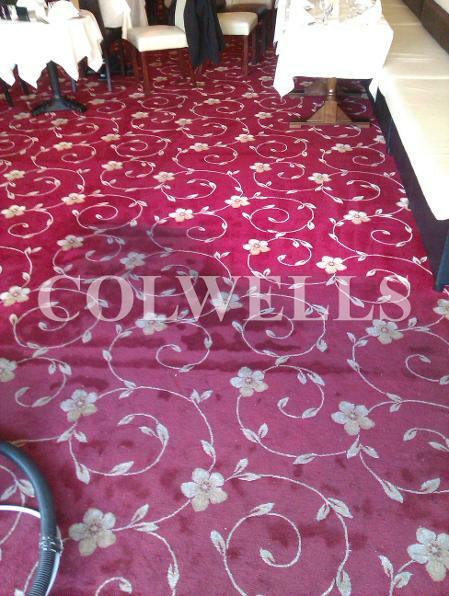 We are a friendly,family run business with over 18 years experience.We are based in Rotherham and cover all of South Yorkshire and most surrounding areas.We provide our services to both domestic and commercial properties at very competative prices as we at Colwells believe you shouldn't have to pay more to get more. We provide a high quality,professional deep clean to all types of carpet,upholstery, leather,rugs,mattresses and curtains.We also provide stainguards and deodorisers on request. For all commercial properties we provide a completely free quotation and a free sample clean(1sq metre)if requested so you can see how good we are before you commit to a booking. All domestic quotations are given over the phone as the prices are fixed. WORRIED ABOUT A STAIN BUT DON'T NEED A FULL CARPET CLEANED? Give us a call for free,friendly advice about stain removal with little or no cost to yourself using household products.We will give you step by step instructions on how to remove the stain without using fibre damaging shampoos.